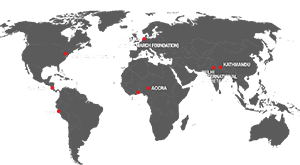 In 2009, the Global Campaign for Education (GCE) launched the Civil Society Education Fund (CSEF), a global initiative to support civil society organisations in fulfilling the roles defined within the Dakar Framework for Action on Education For All. The fund also links into country-level processes of the Fast-Track Initiative (FTI) in supporting civil society to engage in dialogue with governments and donors to influence in-country spending on education. The expansion of roles expected of civil society is also highlighted within the EFA Fast Track Initiative (FTI), and improving national civil society involvement is vital in strengthening country level FTI processes. The FTI governance guidelines underline that civil society organisations are recognised as equal partners with national governments and donors in Local Education Groups, ensuring transparency in budgets, quality of service and on-the-ground coordination. Although there has been considerable progress in recent years, there are still significant gaps in capacity to ensure that civil society can fulfil its roles and responsibilities, such as financial resources, policy capacity, economic literacy, access to information and level of coordination. This is where CSEF comes in to support National Education Coalitions so that civil society can become effective and influential education advocates and be recognised as credible partners in education sector planning and implementation by governments and development partners. As part of its on-going coordination of the CSEF, the GCE has launched a new e-bulletin and the first issue for the month of August 2011 is now available. The GCE CSEF secretariat will continue to share information across the CSEF programme, providing important updates from national, regional and global level. The GCE is also encouraging National Education Coalitions to share information with others around the world.